Can’t make it to the June 10th Action Day, but would still like to support hunger relief in the Boulder area? You can make a tax-deductible donation in any amount here! Dead & Company is partnering with Positive Legacy and Conscious Alliance to give fans an opportunity to have a positive impact in the Boulder Area by supporting hunger relief efforts through Community Food Share's robust programs. 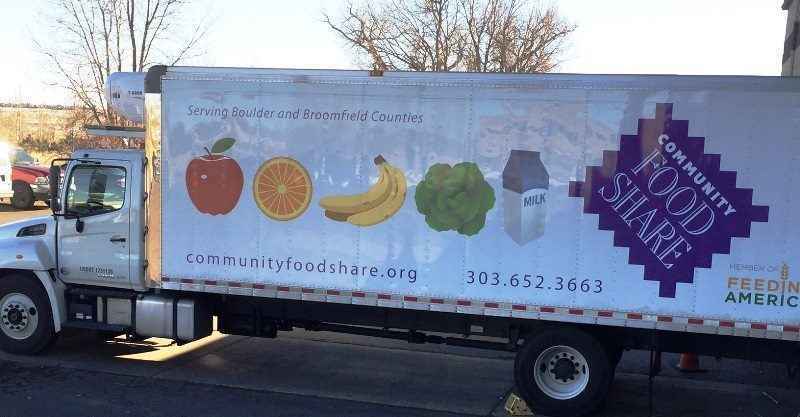 Community Food Share's mission is to be a leader in the community's effort to end hunger in Boulder and Broomfield counties. Community Food Share operates on mostly donations – 88% of food is donated through food rescue and also from local farms & community food drives. Community Food Share (CFS) was established in 1981 in Boulder as the need for hunger relief became evident amongst several local community assistance outlets. Over the past four decades CFS has expanded its programs to fulfill the needs of the community including mobile pantries and an elder share program to assist those that are homebound. CFS also partners with more than 40 non-profit organizations to distribute groceries and meals in the community. This no-cost assistance allows these local agencies to free up funding for other needs assistance such as healthcare, housing and education. They reduce food waste by rescuing 8 tons of good food from going into landfills each day & feed the community at the same time! With a focus on "quality not quantity" their food choices are 75% fresh produce, dairy, or protein. A note about volunteering from Community Food Share:"Volunteers are the backbone of our operation. More than 3,500 people volunteer with us every year, providing 64% of our labor. Without the help of people like YOU we would not be able to open out doors. 1 hour of volunteering provides 80 meals!"